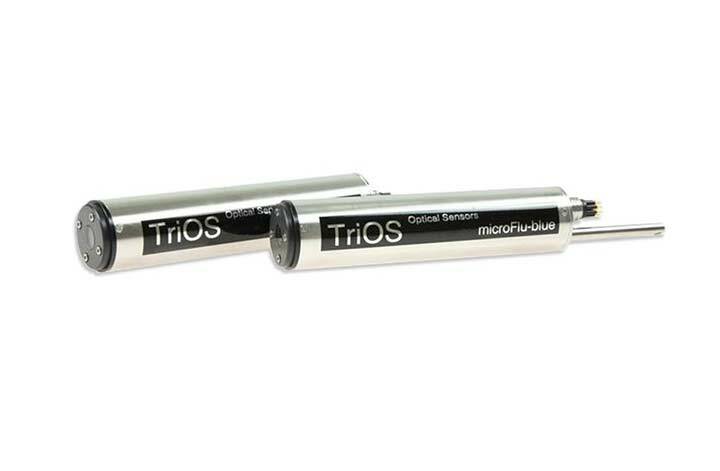 The MicroFlu-DS is a submersible fluorometer for high precision, selective fluorescence measurements in deepsea, with water depths of up to 6000m. This miniaturized design with long-term stability makes it ideal for both moored applications and installations on underwater vehicles such as ROVs and AUVs. It is completely constructed out of titanium so it can withstand high pressures when submersed upto 6000m. Internal reference measurement of the emitted light compensates aging effects of the advanced LEDs, used for fluorescence excitation.